Happy fall to one and all! It is hard to believe that another nine months are in the books, yet we are again reminiscing over what was a near perfect summer on Martha's Vineyard. The weather was idyllic, and the usual seasonal events delivered enjoyment to their patrons. The ferries and beaches were non-stop full, and the real estate market on-Island finally appears to have caught up with the current pace found in most primary markets. The typical real estate search activities didn't begin in earnest until late June due in part to Mother Nature's delayed arrival with warm weather. But we have been actively in the field with clients ever since and envision a productive fall market still before us. Despite the continued geo-political and economic issues, prudent investment decisions, and lifestyle choices remain overriding considerations among buyers of Martha's Vineyard real estate. With relative value, choice, compelling lending rates and options still available, we're anticipating continued search and acquisition activity through 2015. Without question, the dynamics among buyer and seller have returned to a more normal exchange between those who have it, and those who want it. And while the confluence of events has enabled the Vineyard market to gain traction this season, it still has room to go before emulating the conditions found among many primary markets within the region. But the general market condition and sentiment on-Island has notably become more competitive, active, and favorable toward consummating transactions. We have previously referred to the Vineyard's market bottom as having occurred in Q4 of 2011. With the consistent degree of activity we have experienced year to date and year-over-year, we expect our micro-market to continue "normalizing" and follow both the region's primary and second home market trends. Q3 realized the conveyance of 127 properties, which is up 34% for the same period year-over-year. The number of properties for sale, however, has remained relatively constant for nearly six years. Currently, there are 649 total listings representing $1.181B. Thus far in 2015, 318 residential homes have sold island-wide, which is up 14.8% as compared to the 277 sold in 2014 for the same period. At the Quarter's close, year-over-year median home sale prices increased 20% from $575,000 to $691,000, with average home sales prices also increasing by a stellar 44% from $929,444 to $1,342,036. On average, YTD home sales on-Island have transacted at approximately 95% of their asking price while realizing 122% of their tax assessment. This is a significant change from prior year sales' metrics, where the former trend of closed transactions previously illustrated a strong correlation between a town's tax assessment and the ultimate sale price. This correlation has now changed and suggests that sale prices exceeding assessed values have returned to the market. Acquiring real estate in this largely second-home market is often a discretionary decision. However, given the continued heightened levels of inventory across all price segments coupled with continued low-interest rates, this arguably continues to be one of the most attractive times to acquire an Island property for both financial and emotional returns. There will come a time, and likely now sooner than later, when this degree of opportunity will become out of reach for some. But Martha's Vineyard, compared to many like markets, continues to afford an attractive opportunity for those willing to make a commitment to her. Please visit www.mvlandmarks.com to view a comprehensive list of all available Island listings. If you would enjoy having immediate and free, real-time access to our ever-evolving inventory of Island listings, please contact us to receive access into LINK, the Island's local MLS. And as always, do not hesitate to contact us with your questions and curiosities concerning those properties of interest and Martha's Vineyard real estate topics in general. If, however, a purchase of Island property is not in your future right now, this is a terrific time to book your summer vacation rental for 2016. Our strong Island-wide inventory features homes that accommodate most every need. Our experienced rental agents are readily available to assist you in finding the perfect vacation home. Please contact us to assist you with creating your dream vacation. COLDWELL BANKER LANDMARKS is now on FACEBOOK. Please like us! Happy summer from Martha’s Vineyard! Apologies for the delay in disseminating our normal and customary quarterly missive. It has been a busy and chaotic start to the summer season, especially since the spring market was again and even more significantly truncated by Mother Nature this year. However, with the summer buying season now at hand, please allow us to share some market commentary concerning the sales activity on-Island thus far. The positive and improving sentiment toward Island real estate continues with a consistent number of transactions being consummated. We are observing an increase in search activity by prospective buyers who are demonstrating even more intent and action this season comparative to last year. Median and Average sales prices have improved year over year, and while we continue to carry an above average level of inventory, it is still the better priced, better conditioned, ideally located and more unique properties that continue to generate interest and garner bids on-Island. Transaction volume is increasing too, and now that the weather has vastly improved since late spring, the composition of our inventory is evolving quickly with new listings materializing weekly. Prices have now begun to increase within each market segment while the low interest rate mortgage climate still remains available. Most noticeable this season is the improved consumer confidence toward discretionary purchases like investment, vacation-home acquisitions. Buyer sentiment and their heightened sense of urgency to engage has notably increased too. All told, Martha’s Vineyard still offers opportunity and relative value in comparison to many other like-kind markets, but choice of inventory and attractive financing options may become less available in the not too distant future to those who wait. Inventory has jumped higher with the accompanying warmer temps from the early spring total of 509 units to the current 668. The total value of listed real estate on-Island now equates to $1.261B. Thus far in 2015, a total of 186 residential properties were sold among the Island towns: Edgartown-68, Oak Bluffs-46, Vineyard Haven-38, West Tisbury-14, Chilmark-14, and Aquinnah-6. Year-to-date median sale prices on-Island have increased 3.3% from $578,000 to $597,000, with improved average sale prices increasing by some 33% from $965,000 to $1,287,000 as compared to the same period in 2014! Year-to-date sales have captured 94% of their final asking prices and garnered almost 118% of their respective tax assessments. The strength of this correlation remains subject to factors such as condition, amenity, and uniqueness of the subject properties sold. As an independent franchise that is associated with a national brand, we are often introduced to proprietary market analysis. We’ve learned that, the northeast as a region continues to fair better than many areas of the country. And resort-vacation-destination markets like Martha’s Vineyard have continued to enjoy consistent attention and acquisition. Please visit www.mvlandmarks.com regularly to keep abreast of all Island properties for sale. And as always, please do not hesitate to contact us with your questions and curiosities concerning properties of interest, or Martha’s Vineyard real estate in general. By Sean D. Federowicz, M.B.A.
Another long winter's hold appears to have finally released itself, and spring may have just arrived, thankfully. The interminably long and "white" winter certainly left its imprint on the Island and our real estate market. But now, with the arriving warmth of the season, the customary spring stirrings are afoot and we practitioners on-Island again have an underlying sense that any expectation of a leisurely unfolding spring real estate market will emulate more of a "sprint" this year due to the delayed impacts of the long winter. So with the first quarter of 2015 having closed, here is our latest commentary concerning the real estate transaction activity on-Island thus far. As noted, after squeaking by the MLK holiday weekend in January with but a trace of snow, the subsequent weeks of "snow-mageddon" effectively terminated any meaningful real estate activities on Martha's Vineyard. However, with the warmth of spring now quickly approaching there is anticipation that we will make up for the lost time. Add in the recently announced likelihood of interest rates increases from the Federal Reserve and the vastly improved acquisition rate for second homes in 2014, we anticipate some very active prospective buyers who intend to acquire Island properties this year. According to the National Association of Realtors, vacation-second home sales tallied 1.13M units in 2014, up 57.4% over 2013, and "booming" to above their most recent peak level in 2006, the highest since 2003. Forty percent of the vacation home buyers purchased in a beach area, with 15% of this market being consumed in the Northeast. As noted in our Year in Review edition, there were 400 residential properties sold on-Island, with the vast majority being acquired for seasonal, vacation use. A recently published article last week by RISMedia reported, "That house prices recorded annual gains, and expect them to rise in the future". It cited recent releases authored by the Federal Housing Finance Authority, Standard & Poor's and Case-Shiller each indicating that their respective measure of national house prices rose by 4.5% on a seasonally adjusted basis as of January. This is a 33 consecutive month year-over-year increase for their respective house price indices. Such consistent primary market improvement and overall sentiment toward real estate in general, should trickle down to the discretionary, vacation home markets like Martha's Vineyard. Continuing on with the strengthening market dynamics of last year, many of the same variables we espoused during the 2014 season continue to exist here in early 2015. Specifically, attractive lending rates are still available; inventory will begin to increase from the off-season lows coupled with pent-up demand from prospective buyers holding improved confidence toward second-home markets. It is these factors that are expected to again drive this season's activity. What has been demonstrated despite this winter's weather is interest toward Martha's Vineyard real estate has remained constant, as has been observed in the on-line search traffic received during the first quarter. The Island still holds cache and is considered a desirable destination for family recreation and relaxation no matter the season! Inventory has begun to creep higher from the holiday lows of approximately 470 total units to 509 as of this writing. A total of 92 residential properties were sold among the Island towns within the first quarter. Specifically, single family home sales broke out as follows: Edgartown-31, Oak Bluffs-16, Vineyard Haven-20, West Tisbury-8, Chilmark-6, and Aquinnah-4. Median prices on-Island have increased 35% from $527,500 to $710,000 compared to the same period in 2014 while average prices have increased 49% from $1,098,691 to $1,634,000 for the same period. On average, residential property sales have captured nearly 94% of their final asking prices and garnered 116% of their respective tax assessments. However, the strength of this correlation remains subject to factors such as condition, amenity, scarcity and uniqueness of the subject properties sold. As an independent franchise that is associated with a national brand, we are often introduced to proprietary market analysis. We've thus learned that, the northeast as a region has fared better than many areas of the country. And resort-vacation-destination markets like Martha's Vineyard have continued to enjoy consistent attention and acquisition. So for those who have vested themselves in the search for Island real estate, 2015 may equally prove to be an idyllic year to make the commitment to acquiring an Island property. And for home owners to consider, because the better conditioned and more realistically priced inventory has been recently consumed, this season could prove to be an opportune time to offer and successfully convey Island property for sale. Please contact us to discuss performing a market analysis and Broker price opinion of value for your property. Regardless of which "camp" you assimilate with, our agency has witnessed the good, the bad and the ugly of the past several years. The benefit of this market experience enables us to counsel our clients well. As inventory begins to appear in advance of the "spring market", please visit www.mvlandmarks.com regularly to keep abreast of all Island properties for sale. And as always, please do not hesitate to contact us with your questions and curiosities concerning properties of interest or Martha's Vineyard real estate in general. Coldwell Banker Landmarks is on Facebook. Please like us! Greetings and a happy belated New Year to one and all! As has become customary, we offer you our annual installment of “The Year in Review” for Martha’s Vineyard Real Estate. Last year proved to be a respectable continuation of 2013, reflecting the behavior of more “normal” market dynamics. Despite the non-existent “spring market” due to the late arrival of warm weather, Mother Nature did her best to provide us with another terrific summer that allowed our patrons to fully enjoy the customary activities and events of the season. Let’s hope for a milder weather pattern in early 2015! Here are some facts, observations, and opinions that may help you formulate your own point of view on Martha’s Vineyard real estate. Nationwide sentiment toward real estate has improved, especially among second home seekers in vacation/destination markets like Martha’s Vineyard, as investments made within these segments are for both lifestyle and financial purposes. Reinforcing the good feelings has been the unexpected and continued low interest rate climate. The 4th Quarter again realized a significant volume of residential sales on-Island (123) exceeding Q1 (88), Q2 (86) and continuing the strength from Q3 (103). Our “Fall Market” has become a consistent second season for sales transactions, having in recent years become stronger than the customary “Spring Market”. Of particular note is the total number of properties for sale which has decreased significantly from the seasonal high of approximately 750 in August to 554 at this writing. 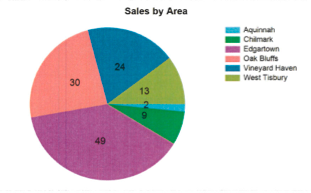 Arguably, the Vineyard market still has excess inventory. But with the supply of ‘quality’ units falling, prices can more readily increase, which could also be a cue for potential sellers to enter the market with new listings. Please contact us to discuss the salability of your property. Total single family home sales decreased modestly by 2% closing the year at 400 units versus the 408 transacted in 2013. Median home sale prices on-Island have remained consistent but ended modestly down by 4% from $625,000 to $600,000 with average home prices essentially remaining flat at $1,014,000 from $1,016,000 in 2013. Notably, residential sales on-Island were found across all price segments, inclusive of the high-value niche, averaging an approximate 93% of their asking price, but capturing nearly 110% of their tax assessment. This break in correlation between assessed value and sales price has continued since the end of 2012. This new ratio substantively confirms that a market return to normalcy is finally underway on Martha’s Vineyard. For the year, Island towns transacted the following number of single-family homes and condominiums; Edgartown-123, Oak Bluffs-132, Vineyard Haven-74, West Tisbury-34, Chilmark-25, and Aquinnah-12. The Island is a finite commodity having both geographic and economic barriers of entry that promote price supports not typically found in many primary real estate markets. As desirable inventory is pared down, prices will continue to adjust as a function of supply and demand. It is not surprising that the better priced, better conditioned properties are continuing to go under contract more quickly than their respective competition. The operative themes that many of our clients (both Buyer & Seller) have voiced after successfully completing transactions with us were: identify your wants and needs, learn the market, develop reasonable expectations, perform your due diligence, and be prepared to act. It is our expectation that 2015 will continue to feature an improving real estate market on Martha’s Vineyard that mirrors many primary market trends. We expect the increase in search activity to continue, especially from those who have long watched from the side-lines. As the economy further demonstrates improvement, the absorption rate for Island property will likely increase, with sales prices modestly increasing too as inventory is consumed. Lastly, rising interest rate risk will also provide some incentive for prospective buyers to act more sooner than later. Certainly anything can happen during the year, of course, and the Island’s resilience as a discretionary market of desire will be tested. However, for those individuals who perform their due diligence, work with an experienced Realtor, and are ready to take action, it still remains a great time to be a Buyer of Martha’s Vineyard real estate! If a purchase of Island property is not in your future right now, there is still time to book your 2015 summer vacation rental. Our inventory continues to grow featuring homes that accommodate most every need and represent every corner of the Island. Please contact us to assist you with creating your dream vacation. Our experienced rental agents are readily available to assist you in finding the perfect vacation home! Please visit www.mvlandmarks.com to view a comprehensive list of all available Island listings for sale or rent. And as always, do not hesitate to contact us with your questions concerning properties of interest, and Martha’s Vineyard real estate issues in general. Greetings! With another nine months in the books, we are again reminiscing over what was a near perfect summer on the Vineyard. The weather was terrific, the usual seasonal events delivered enjoyment to their patrons, and the ferries and beaches were non-stop full. However, the typical real estate search activities, which didn't happen early in the spring due to Mother Nature's delayed arrival with warm weather, finally kicked in with consistency by July 4th and have been grinding along ever since. In fact we envision another productive fall market still before us. Despite the continued geo-political and economic issues, prudent investment decisions and lifestyle choices remain overriding considerations among buyers of Martha's Vineyard real estate. With relative value, ample choice, compelling lending rates and options, coupled with a multi-year corrective period in place, we're experiencing continued search and acquisition activity as we migrate toward 2015. Without question the dynamics among buyer and seller have returned to a more normal exchange between those who have it, and those who want it. 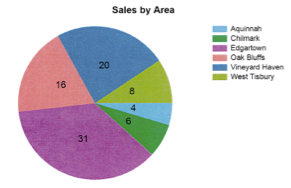 However, by no means has the Vineyard market recovered to the extent that many primary markets in the region have. But the general market condition has favorably shifted. The overall sentiment toward real estate as a financial asset has vastly improved since 2012, especially in second home markets like Martha's Vineyard. Thus far, the average number of homes sold per month since 2012 has been a stable 30 plus units but with improved total unit sales consummating each September's end with 55 in 2013 and 51 this year. We feel this is a direct correlation to the buyer's summer search activities that are realized in the quarter-end sales statistics. We have previously referred to the Vineyard's market bottom as having occurred in Q4 of 2011. With the consistent degree of activity we have experienced year to date and year-over-year, we expect our micro-market to continue "normalizing" and follow the region's primary market trends. The number of properties for sale has remained relatively constant for nearly six years now (700-750 total units). Thus far in 2014, 277 residential homes were sold island-wide, which is down 10 units or (3.5%) as compared to the 287 sold in 2013 for the same period. At the Quarter's close, year-over-year median home sale prices decreased nearly 12% from $650,000 to $575,000, with average home sales prices decreasing by a modest 5% from $980,706 to $929,444. On average, YTD home sales on-Island have transacted at approximately 93% of their asking price while realizing 108% of their tax assessment. This is a change from prior year sales' metrics, where the former trend of closed transactions previously illustrated a strong correlation between a town's tax assessment and the ultimate sale price. This correlation has now changed and suggests that sale prices exceeding assessed values are returning to the market. Acquiring real estate in this largely second-home market is often a discretionary decision. However, given the continued high levels of inventory across all price segments coupled with continued low interest rates, this arguably continues to be one of the most attractive times to acquire an Island property for both financial and emotional returns. There will come a time, and likely now sooner than later, when this degree of opportunity will become out of reach for some. In fact, the best of buyer's market conditions and inventory selection may be behind us. But Martha's Vineyard, compared to many like markets, continues to afford an attractive opportunity for those willing to make a commitment to her. Please visit www.mvlandmarks.com to view a comprehensive list of all available Island listings. If you would enjoy having immediate and free, real-time access to our ever evolving inventory of Island listings, please contact us to receive access into LINK, the Island's local MLS. And as always, do not hesitate to contact us with your questions and curiosities concerning those properties of interest and Martha's Vineyard real estate topics in general. If, however, a purchase of Island property is not in your future right now, this is a terrific time to book your summer vacation rental for 2015. Our strong Island-wide inventory features homes that accommodate most every need. Our experienced rental agents are readily available to assist you in finding the perfect vacation home. Please contact us to assist you with creating your dream vacation. Winter's long hold appears to have released itself, and spring may finally have arrived, thankfully. The interminably long winter certainly left its imprint on the Island real estate market. And now the customary spring stirrings are sounding more like sudden and loud rustlings. There is an underlying sense on-Island that any expectation of a leisurely unfolding Spring Market will emulate more of a "sprint" this year due to the impacts of the long winter. So, with the first quarter of 2014 having expired, here is our latest commentary concerning the real estate transaction activity thus far on Martha's Vineyard. Each of the early seasons's three-day holiday weekends were affected by poor weather that deterred the pursuit of any meangingful real estate activities. However, with the warmth of spring now quickly approaching coupled with the gear-up to the customary spring real estate market, there is anticipation that we will make up for lost time. We anticipate very active weekends working with prospective buyers who intend to acquire Island properties before summer arrives. Last spring, we practitioners felt that 2013 was "the year" for a substantive improvement in transaction volume to take hold. And that certainly materialized with 408 single family home transactions being consummated. The confluence in pent-up demand, high levels of inventory, attractive home prices, and advantageous lending rates all came together nicely last year. Many of these same variables still exist now in early 2014. Attractive lending rates are still available, and inventory will begin to increase from off-season lows with the arrival of warmer weather and prospective buyers with continued confidence toward second home markets. According to the National Association of Realtors projected forecast for the country's real estate market in 2014, the Cape & Islands will not experience the significant price increases that were seen last year, but rather will find a modest rate increase of approximatley 4-6% in prices regionally. Interest in Martha's Vineyard real estate has remained constant as was demonstrated by the on-line search traffic during the first quarter. And the Island still holds cachet and is considered a desirable destination for family recreation and relaxation no matter the season! Inventory is beginning to creep higher from the holiday lows of approximatley 525 total units to 570 as of this writing. Thus far in 2014, a total of 88 residential properties were sold among the Island towns: Edgartown-29, Oak Bluffs-26, Vineyard Haven-12, West Tisbury-9, Chilmark-6, and Aquinnah-0. Median prices on-Island have decreased 13% from $605,000 to $527,500 compared to the same period in 2013. Conversely, average prices have increased 25% from $878,978 to $1,098,691 for the same period. On average, residential property sales have captured 93% of their asking prices and garnered nearly 105% of their respective tax assessments. The strength of this correlation remains subject to factors such as condition, amenity, scarcity and uniqueness of the subject properties sold. As an independently owned franchise that is associated with a national brand, we are often introduced to proprietary market analysis. We've thus learned that, without question, the northeast as a region has fared better than many areas of the country. And resort-vacation-destination type markets like Martha's Vineyard have continued to enjoy consistent attention and acquisition. So for those who have vested themselves in the search for Island real estate, 2014 may equally prove to be an idyllic year to make the commitment to acquiring an Island property. And for home owners to consider, because the better conditioned and more realistically priced inventory has been recently consumed, this season could prove to be an opportune time to offer and successfully convey Island property for sale. Regardless of which "camp" you may identify with, our agency has witnessed the good, the bad, and the ugly of the past several years. The benefit of this market experience enables us to counsel our clients well. As inventory begins to appear in advance of the "spring market", please visit http://www.mvlandmarks.com regularly to keep abreast of all Island properties for sale. And as always, please do not hesitate to contact us with your questions and curiosities concerning properties of interest or Martha's Vineyard real estate in general. Happy summer from the Vineyard! Apologies for the delay in disseminating our normal and customary quarterly missive. It has been a busy and chaotic start to the summer season, especially since the spring market was truncated by Mother Nature this year. And we have also recently launched our new web site (www.mvlandmarks.com) that we hope continues to deliver meaningful information and valuable insight into Martha’s Vineyard real estate. With the summer buying season now at hand, please allow us to share some market commentary concerning the market activity thus far on-Island. The positive and improving sentiment toward Island real estate continues with a measured but consistent number of transactions being consummated. We are observing an increase in search activity by prospective buyers demonstrating more intent and action this season comparative to last year. Median and Average sales prices have improved year over year too. And while we continue to carry an above average level of inventory, it is still the better priced, better conditioned, ideally located and more unique properties that continue to generate interest and garner bids. Transaction volume is increasing on-Island, and now that the weather has vastly improved since late spring, the composition of our inventory is evolving quickly as well with new listings arriving weekly. Prices have remained relatively consistent within each market segment and the low interest rate mortgage climate still remains available. But noticeably different this season is that consumer confidence has markedly improved toward discretionary purchases like vacation, second-home acquisitions. All told, Martha’s Vineyard still offers opportunity and relative value in comparison to many other like-kind markets, but choice of inventory and attractive finaincing options may become less available in the not too distant future to those who wait. Inventory has crept higher from the early spring to reflect 721 total units as of this writing. The total value of listed real estate on-Island equates to $1.5B. Thus far in 2014, a total of 174 residential properties were sold among the Island towns: Edgartown-55, Oak Bluffs-57, Vineyard Haven-31, West Tisbury-15, Chilmark-13, and Aquinnah-3. Year-to-date median sale prices on-Island have increased 5% from $550,000 to $578,000 along with improved average sale prices also increasing by 7.3% from $899,000 to $965,000 compared to the same period in 2013. Year-to-date sales have captured 93.3% of their final asking prices and garnered almost 104% of their respective tax assessments. The strength of this correlation remains subject to factors such as condition, amenity, and uniqueness of the subject properties sold. As an independent franchise that is associated with a national brand, we are often introduced to proprietary market analysis. We’ve learned that, without question, the northeast as a region has fared better than many areas of the country. And resort-vacation-destination markets like Martha’s Vineyard have continued to enjoy consistent attention and acquisition.